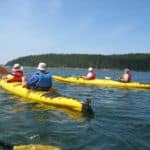 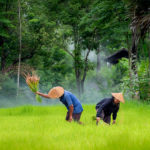 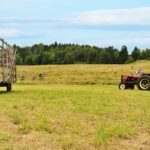 Whether you simply love the thrill of setting off on an adventure on your own or are always keen to make new like-minded friends, you will feel right at home on a Sojourn tour. 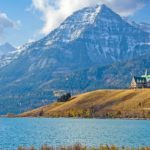 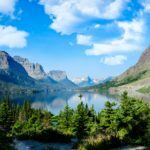 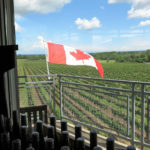 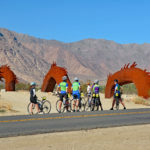 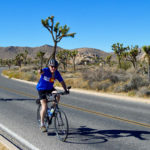 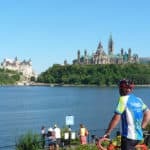 Our expert team of tour leaders is unparalleled at creating a fun environment for everyone and encouraging camaraderie among our groups, which is why so many of our solo travelers end trips with new lifelong travel companions and friends! 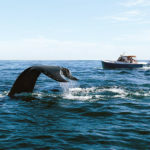 Don’t let traveling alone hold you back from experiencing the trip of a lifetime. 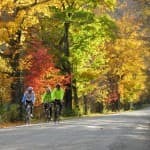 Book by December 10th and Save $200. 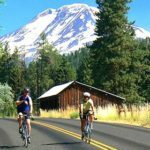 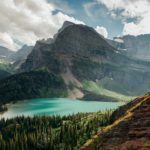 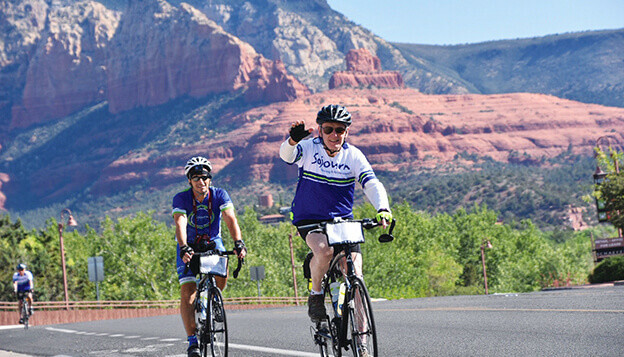 The Northern Arizona tour features outstanding biking, hiking, kayaking, unparalleled natural wonders, and a diverse selection of culinary options. 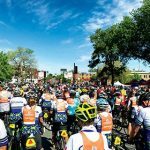 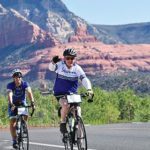 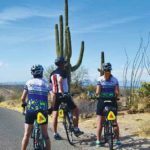 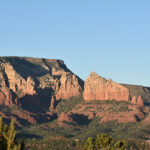 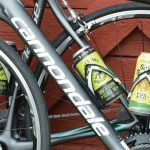 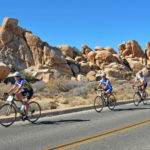 The tour takes you through one of the most beautiful regions in the world, based around the cities of Prescott and Sedona. 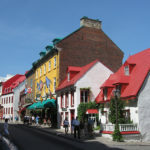 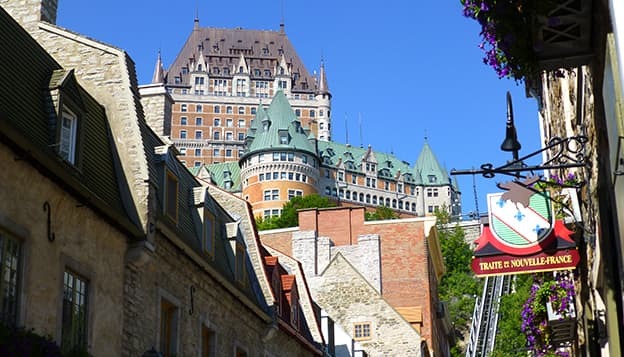 Often described as "the soul of Québec," Québec City is the most European of North American cities. 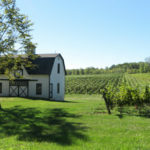 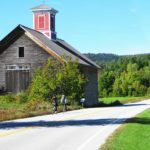 Cycle past quaint small villages, tidy farms, magnificent historic churches and stop for a quick bite at one of the many chic cafés found here. 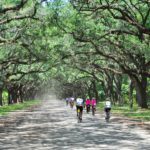 The low country, a 200-mile stretch of coastal South Carolina and Georgia, covers a region that exudes an aristocratic charm draped in southern hospitality, fascinating history, charming Victorian and Antebellum architectures, delectable cuisine, and a quintessential scenic character. 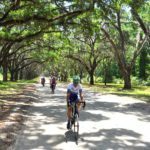 This relatively easier cycling trip will take you through and around the historic Savannah, GA, Gorgeous Beaufort, and Charming Charleston, SC. 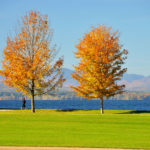 Few places in the world can match the tranquility of the incredible foliage beauty of Vermont. 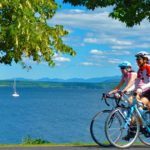 Take in the stunning colors of Vermont’s foliage and watch the sunset over shimmering Lake Champlain at night from the hotel grounds. 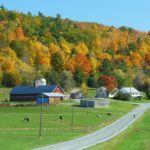 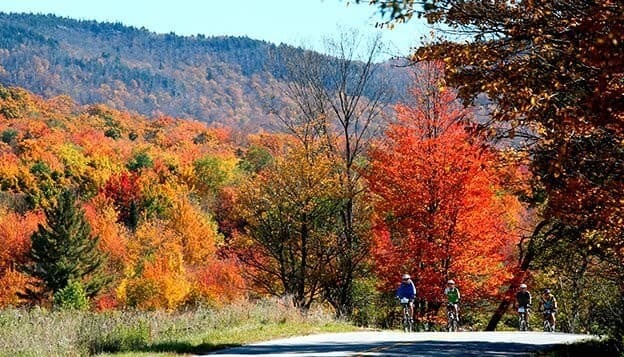 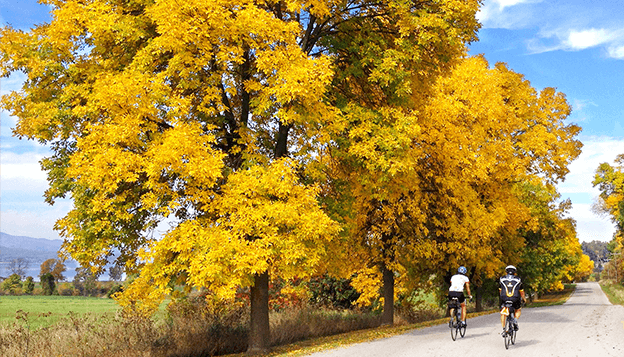 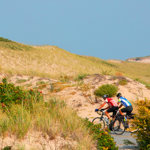 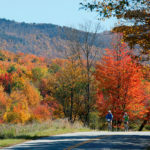 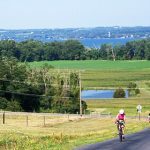 Every cyclist's bucket list should include a trip in Vermont during colorful fall foliage season. 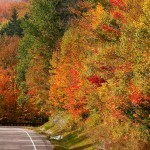 Enjoy country roads and deluxe inns. 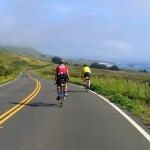 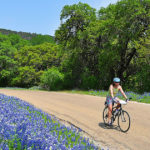 Texas Hill Country is one of the best places in the country for scenic and peaceful bicycling. 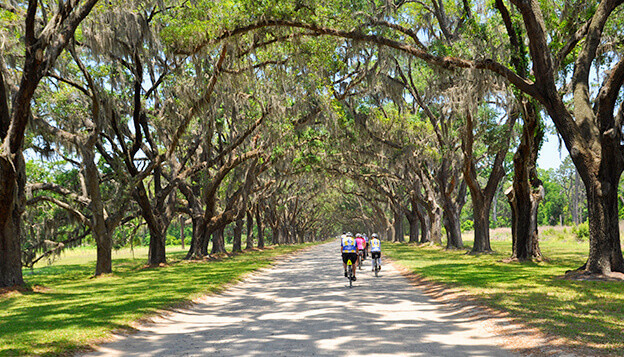 Tour historic and beautiful LBJ Ranch by bike. 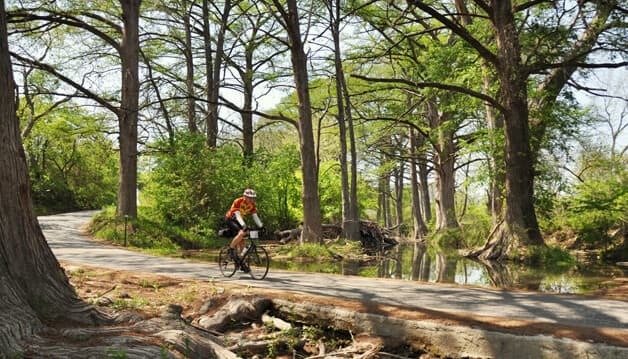 Cycle to the legendary country music hamlet of Luckenbach. 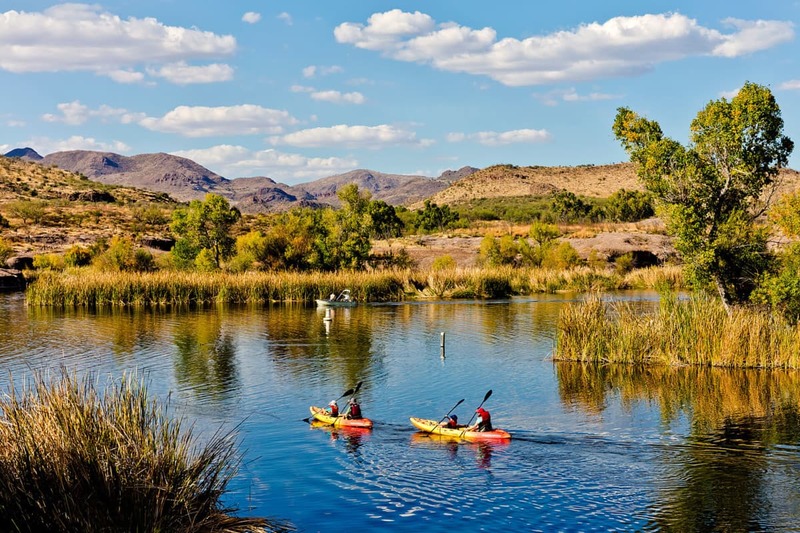 Visit famous historic sites, including the Alamo, El Mercado, and La Villita and ride the Mission Trail.